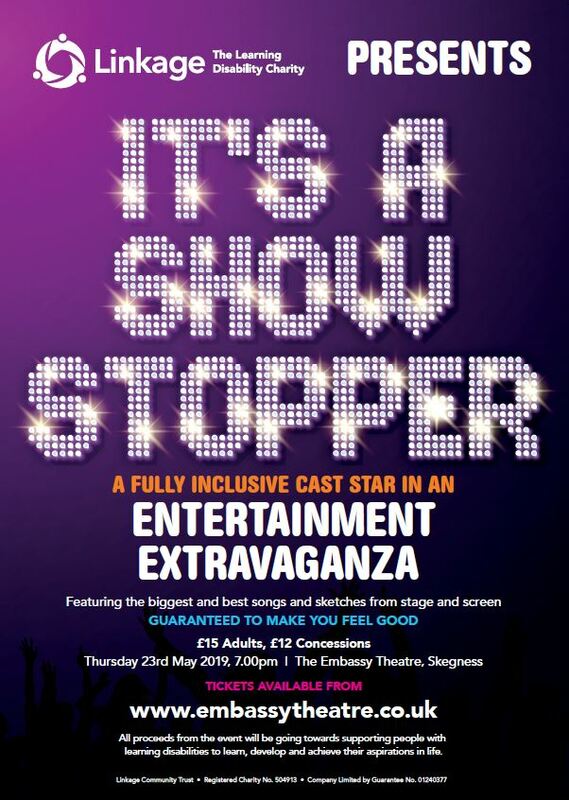 Linkage proudly presents an entertainment extravaganza starring a fully inclusive cast from across Linkage. Enjoy a fantastical mix of the biggest and best songs and sketches from stage and screen performed by Linkage Adult Skills Performance Arts group, Linkage College students and local special schools. £12.00 FOR CONCESSIONS (Children aged 14 and under, Senior Citizen aged 60 or over, Student aged 15 and upwards with a valid NSU card). All proceeds from the event will help the charity continue to provide services that enable individuals to develop skills and behaviours to live independent lives.